Seabreeze or Venturi effect or maybe Trade winds? They are all invisible to the eye! 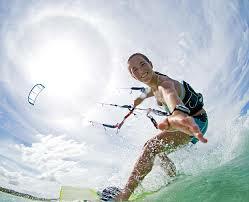 Bantayan Island for kitesurfing will have the so called ‘Amihan Wind’. This is a wind pattern in the Philippines that starts from November till the end of April. Siargao, Philippines hosts the same wind for our kitesurfing school in General Luna. These 2 location with our newest: Santa Fe, Bantayan Island has the similarity of the Trade winds. However it is not that type of wind that runs the same as in the Caribbean. In the Philippines, Amihan refers to the season dominated by the trade winds, which are experienced in the Philippines as a cool northeast wind. It is characterized by moderate temperatures, little or no rainfall, and a prevailing wind from the east. This is our dominant wind to be teaching and therefore we are open with our Seabreeze Kite Club locations in the Philippines. Is also known as thermal wind and it is most likely to happen in cooler waters, when the sun is out. This is what we have at our other kiteboarding club in Aceh, Indonesia. It is a great wind to go out and kite. Mostly on 9 meter as average. The sun heats the land up, the warm air rises from the land, the cooler air from the sea rushes in and causes onshore wind. Mostly on the average day this will happen in the early afternoon and adds to the wind. amazing! A good sea breeze can add 20-50% more wind to a forecast and provide beautiful, consistent wind when nothing was predicted or add to existing wind and making it much stronger. After rainfall, the Seabreeze effect needs to settle again and this will take a couple of day’s and then the cycle will start again. Is when the wind is forced through two objects such as mountains, hills or buildings. This affect is also at our spot in Indonesia from June till September! The Venturi effect causes much higher wind speeds. Watch out if you are launching near buildings because you may not be expecting higher wind speeds but this well known wind effect can also be highly beneficial in places with light wind as many Kitesurfing locations around the world are windy simply because of the Venturi effect. Join us from November till the end of April at one of our kitesurfing schools. Santa Fe on Bantayan Island hosts Kitesurfing and Cultures with wicked food! ‘Talking and spending time with a local person of Cebu, Philippines made me turn my vision 180 degrees about the Island. It has everything that you need. from good food to brilliant Sunday afternoons in parks, waterfronts and don’t forget the variety of the nightlife it has to offer. This island is packed with Expats from all over the world and it hosts many business hotels that are surrounded by big shopping malls, where you get lost. Different sport activities like wake boarding, carting, bowling makes this Island a good getaway. Many people will come to Cebu for a short stop then to take the boat to the different Islands near Cebu. Quote by Kay, ( a local from Cebu): I Heart Cebu but I’m mesmerized by Bantayan Island. What I love about growing up and living in Cebu lies in its enchanting culture, foods, and it’s natural resource. Cebu is just a small island but there are many places to discover which never fails to amaze us, but there is this one Island that I could say it is the PRIDE AND GEM OF CEBU that has not been discovered by most of the foreign people yet. The secret little paradise of Bantayan Island. Why? Because it is a place like no other! A perfect getaway place for those seeking peace & quiet, blue skies & clean air, with spectacular turquoise water & great white sand beach, along with some of the most beautiful sunrise & sunsets in the world, It doesn’t just end there! guess what? Kitesurfing. One of the most unique water sports is now finally offered at our secret little paradise Bantayan Island from November till the middle of April where the Amihan wind season is at that time giving windy days from 12 to 25 knots. Light wind relaunching! Problem? No, of course not…..We explain! In Siargao, Philippines at our Seabreeze Kite Club we use Switch kites as they are light wind machines and fly in 8 to 9 knots with a rider of 75kg. This is amazing! We all be there! drifting forward and then pulling 1 line….. Nothing happens… but only the drift further away. Hmmm. what now. Well normally it is always good to pull the steering-line closer towards the beach as you will be drifting towards this direction slowly. Don’t bring the kite back up in the air but hold on to this and let yourself float into the direction of the beach or your kitesurfing teacher. Well what if we are far away? Then there are 3 possibilities that you can perform in the water, while you are drifting. I am using a “deep water scenario” as this is the most common thing in the world while kitesurfing. Let’s go and use number 1 to get started and also the oldest way to perform a relaunch in really light wind or you are hydro-foiling and the wind drops! The kite is in front of you and Leading edge down. Then try to swim fast towards the kite until the kite will “roll” on his side. Pull the steering line. ( the one that comes out of the water) and pull gently to get the kite in 1 go up in the air. Pull then the opposite powerline of the steering line that is pulled. Let the kite go “rolling” on his side, while letting go slow of the powerline. Release then the steeringline as well. Open the “O-shoit handles above the floaters. ( If you have any). Then pull hard, simultaneously on both of your steering lines. Make sure your kite will go UP in the air Upside down till a 2meter lifted. Release 1 handle and immediately the other one as well. Be prepared for a Pull. Relax and have yourself looking at this video, where it will be visual. Happy kiting and visit us at 1 of our destinations! Hydro-foiling in Siargao, Philippines. A must do! Wow! What a feeling! I am flying…. and so much more shouts came from the water as soon as I touched the foil and made my first splash in the blue, warm water here in Siargao, Philippines. foiling in Siargao, Philippines at our kite-school. The feeling is nothing compared with anything else, since I started kitesurfing many, many years ago. It is a combination of flying and the total freedom sliding through the water as a “knife through soft butter”. You can ride this thing already in about 7 knots. So no worries here that your hair will get into a “knot’ or messed up. What makes this foiling so special? Well I think you need to try this at home. Get out and find a foil somewhere at your local spot or come to Seabreeze Kite Club in The Philippines. Get on there and make your first meters. Pressing forward on the board is a MUST DO! otherwise you will be seeing yourself flying backwards into the air. ( Which happens, for sure) but all good as this is so much fun. We are using the Slingshot foil system at our kite-school here in Siargao, Philippines as this will 100% help you when you never foiled before as there are 3 different mast systems that you change when you improve, starting with the smallest mast, of course. Amazing students. Foiling and fun. Hooked for life. I am soo “SOLD” and HOOKED’ to this foiling with a kite. It gives the strapless riding another level to master with ton of fun. Be advised: wear a helmet and an impact vest. Just to be safe! Kite-Aid & Seabreeze Kite Club. It is a strong bond! We are at this time of the year that we are looking into opening Siargao, Philippines again. Running the kite-season here from the middle of November till the end of March. Relocated and a “Million dollar view”. That is were Seabreeze Kite Club is located this kitesurfing season here in beautiful Siargao. A huge flat water lagoon and a mecca for beginner kiteboarders. We will provide you this season with our usual “good vibes” while relaxing in our hammocks, drinking or chilling at our direct beachfront access. All this time we were looking for a product that was available for our clients when there was a broken kite, ripped or leaking leading edges. It was difficult to find a tool that was reachable for us in our remote locations where our kite-centers are located. You don’t thrust the locals to repair your kite. Hell no! They are very good in sewing your clothes and socks but when it comes to your kite that needs attention then it is better to look a bit further and a product on the market that has proven itself and is Professional. Here we have chosen for Kite-Aid. We are very happy to become the kite repair center in Siargao, Philippines and Aceh, Indonesia. It is a great extra service from our kitesurfing center this kite season. Suncream! Yes, of course while kiteboarding. Which one is the best one? Do you remember the days that you are sitting on the beach and waiting for the wind that does not come. Then….. Finally…. Wind! Great, get your harness, board, kite, sunglasses maybe and ask if someone can give you a launch! What did we forgot? Yes suncream! Especially on our nose. When we are coming back then we have a nice blister peeling of our nose and it looks like someone made a real NOSE-SLIDE but then on your nose! Well, this could be avoided with the right suncream. We are not getting a brand for you that you have to take or we make advertisement for a specific brand at our Seabreezekiteclub. We want your opinion of what is the best brand out there without the cream dripping in your eyes when you are kitesurfing? Lets see what you all think of it? PKA on Siargao Philippines and the opening of the new school. Strapless tricks explained. From Aceh, Indonesia to Siargao, Philippines. Seabreeze Kite Club has moved and opened the new location at Siargao, How beautiful is this island? Well The PKA riders from The Philippines and mainly participants from Boracay discovered this as well for the first time as it was their beginner stop this season. Starting of the Amihan wind season was also the “start’ sign of this event. We started last blog with our strapless tricks and we saw that there was a lot of interest in our blog for this special and great part of kitesurfing. So let’s do and continue this great tutorial part of strapless riding. Make sure you are in at least knee deep water so you don’t rip your fins out when you get up on the board. Keep up a moderate amount of speed but control it so you don’t get launched when you hit the first wave or whitewater. We are looking forward to seeing you on the water and “nail” strapless tricks.